Last year President Barack Obama signed into law Spending Bill HR-933, best known as the “Monsanto Protection Act” that blocks federal courts from intervening with the Monsanto Corporation's sale or planting of genetically engineered seeds, even if the seeds produce a plant that is found harmful to the environment, animals or human health. It is possible that most members of Congress did not know that this provision was tucked secretly in HR-933, which was primarily a spending bill designed to keep government operating for another year. Why would Monsanto want such protection secretly written into federal law? It is because this corporation’s biggest swindle has been a literal takeover of the world’s food supply through the genetic modification and patenting of seeds now being sold to farmers. The seeds, which have been found to be mixed with pesticides, insecticides, herbicides and other genetic modifications just to make the product grow faster and larger than normal, also are being found to be toxic to the humans and animals that eat the product. But even though we suspect there is Monsanto poison in our food, HR-933 prevents us from doing anything about it. We are even prohibited by law from printing warnings on the food package labels. Monsanto has been around since 1901, and has been producing some really dangerous chemical compounds that have been getting mixed in our food supply or our bodies. But it is only in recent years, when the St. Louis, Mo. based company began tinkering with the genetic make-up of our food, that the public began rebelling. The most hated Monsanto produced product, the herbicide sold under the brand name RoundUp, is found to contain Glyphosate, a chemical found to interfere with the hormonal system, cause birth defects and cancerous tumors in animals and humans. The stuff has been so heavily used by farmers and even home gardeners that Glyphosate is now being found in our groundwater, streams, in the soil and even in the air. 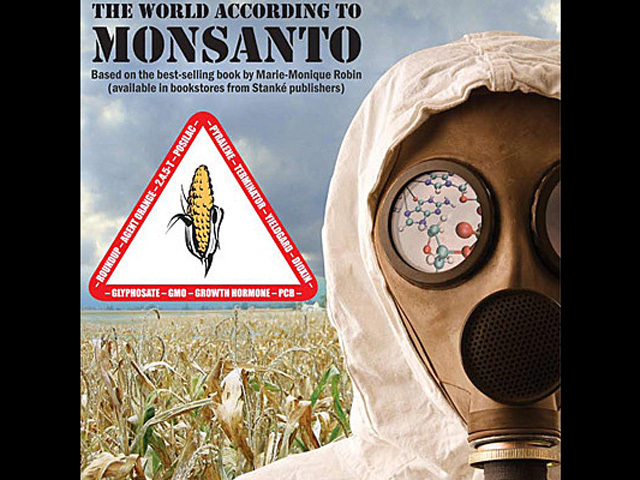 But there is much more to reveal about Monsanto. Remember when the military was using the defoliant Agent Orange to kill jungle growth during the Vietnam War, and a lot of our troops started getting sick and dying from exposure? This deadly chemical is believed to have been responsible for over 400,000 deaths and hundreds of thousands of birth defects and various health problems. Agent Orange was laced with dioxin, a known toxin even before that war. Monsanto was among the major producers of Agent Orange. Back in 1962 the book Silent Spring by Rachael Carson shocked farmer and home gardeners by revealing the deadly effects of the pesticide DDT, which was being commonly used to control insects. Entire cities were getting sprayed with DDT from crop duster aircraft in an effort to cut mosquito populations. Carson's book revealed how DDT was also killing the birds and making humans sick. Primary effects were liver damage and nervous system problems. DDT was banned by 1972. Guess which company was among the first to produce and manufacture DDT? You would be correct if you said Monsanto. The artificial sweetener Saccharin, still used in soft drinks, candies, cookies, medicine, gum and even toothpaste, was found to be a carcinogen. Government efforts to ban its use was strangely blocked so Saccharin is still being used today in these products. Oh yes, Saccharin is a Monsanto product. So was the artificial sweetener Aspartame for a while. Monsanto wisely sold its patent for Aspartame to a Japanese manufacturer a few years ago. You milk drinkers will love this one. Monsanto also developed a bovine growth hormone known as rBGH. The stuff is a genetically modified hormone that, when injected into dairy cows, causes them to produce more milk. It also is linked to breast, colon and prostate cancer in humans. You know those white Styrofoam cups, boxes and fillers commonly used in packaging food, electronic products and many other items we buy these days. They are made from a polystyrene synthetic polymer produced by Monsanto. The stuff plays havoc in landfills because it is non-biodegradable. Chronic exposure to it has been linked to depression, headache, fatigue and general weakness.